It is that time of the year again; it is that time when there are so many emotions going through me. So much anger, grief and frustration because of the lack of justice. I see it in every single Tamil friend of mine, I see it in my close family. The tears in their eyes. Mostly from young people that were not even born in 1983, including myself. Where is this feeling coming from? What happened during Black July? And the final question – why has justice not been served? As a young Tamil living in the UK I have everything, I have more than what I need but my blood boils when I think about all I have lost to be in the position that I am in. The lives of my family that I lost in the process. I could have been that Tamil girl in Sri Lanka that was crying to be alive, I could have been that girl who was screaming out asking not to be raped. I was one of the many lucky ones (or the unlucky ones as I continue to witness these brutalities and there is still no justice) but we should never forget that it could have been us suffering at the hands of the Sri Lankan state. During Black July, the Eelam Tamils including children were targeted, they were being murdered and their homes were destroyed. The pogrom caused many intellectuals such as doctors, engineers, lawyers to flee the country and travel abroad in order to avoid further trouble – Tamils were forced out of their own homeland due to the fear of losing their lives. According to the government it started with 13 soldiers being murdered by the LTTE on 23rd July however there had been many previous encounters between the army and the LTTE. The event was affecting the economic, social and political strength of the Tamils which suggests it was a pre-planned, genocidal pogrom. The mob had a detailed list of Tamils in every area which was provided from someone who had access to these details. The whole massacre occurred mainly within 7 days, 23rd July – 30th July. Vavuniya, Mannar and Trincomalee were firstly affected with the deprivation of possessions among Tamils. 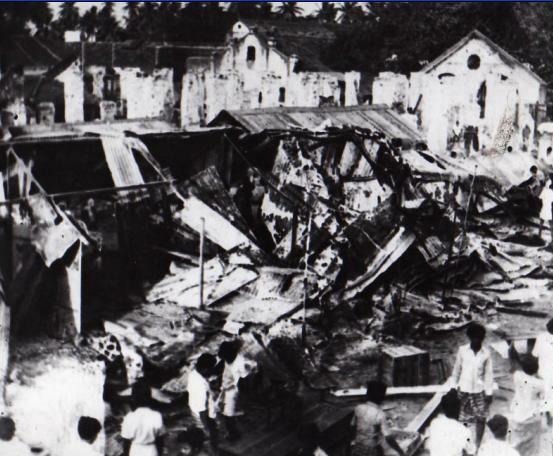 Businesses were then destroyed and Tamil homes were set ablaze. They were searching the streets for Tamils and when found they were stripped, killed and burned alive. Survivors state that policemen and soldiers witnessed the massacre and even waved at the mob. The president instigated a curfew late afternoon on 25th July to blackout any media coverage. 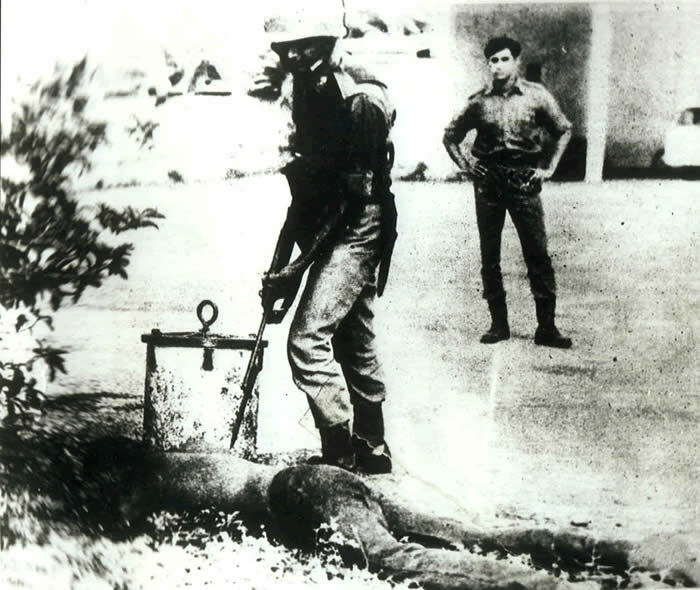 Tamil political prisoners who were on trial under the Prevention of Terrorism Act were killed by Sinhalese prisoners who were aided by the prison officers. On 26th July the government put strict censorship on media and the International airport of Colombo was closed proving the government’s involvement. On July 28th the President appeared only to state that anyone supporting separatism would lose their “civic rights” as he believed this was now the reason behind the pogrom. On 29th July Tamils in Colombo started evacuating to Jaffna and on 30th July the violence was slowly reduced leaving Tamils without food and shelter. The aftermath of the event was the fear among Tamils that led to the necessity of fleeing the country. Writing this article brings tears to my eyes and an ache in my chest. Reading and thinking about the brutality that occurred makes me question my belief in humanity. Every July since 1983 we remember those lives that were lost, the humiliation they had faced and the pain they went through. But have we gained justice? No. I do not know why it has not been served as the evidence has been provided. History has only repeated itself and is continuing to repeat itself; May 2009 occurred only recently where we again lost many lives. I believe the only solution for this Genocide is to provide us with the independence that we rightly deserve, Tamil Eelam.